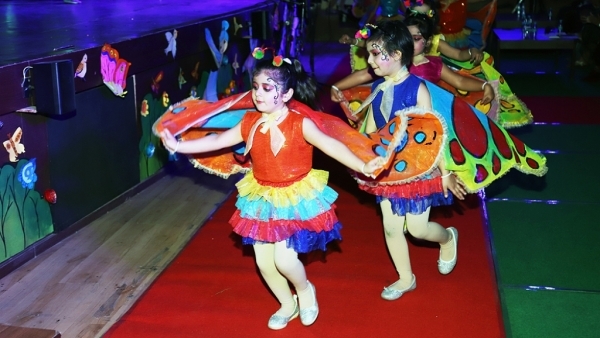 The Kindergarten section, Aadhar of The Sanskaar Valley School hosted the annual Form Morning, Kaleidoscope- 19 on 7th and 8th February 2019. 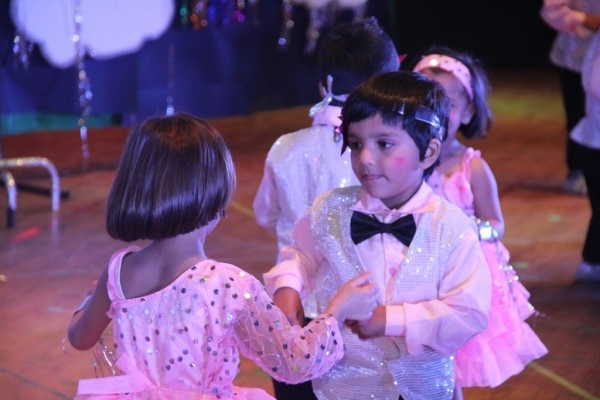 The event showcased a great variety of talent of kids in the age group of 2 ½ to 7 yr olds. 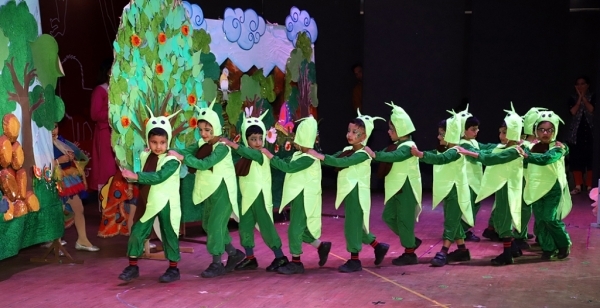 Mr Amlan Saha, the principal of the school welcomed the esteemed members of the parent fraternity and Ms Neetu Singh , the head of Aadhar took the parents through all the interesting activities done by the kids throughout the year. 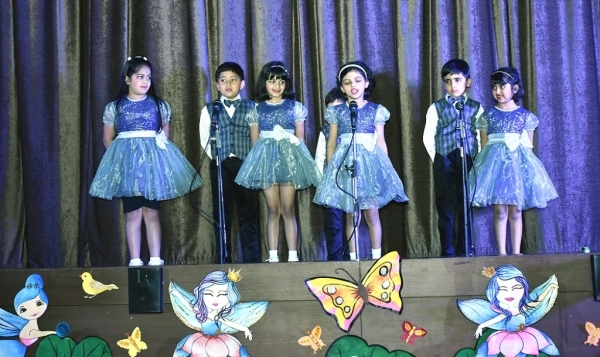 An exhibition was also organized which displayed creatively done story baskets, origami and Best out of Waste models. 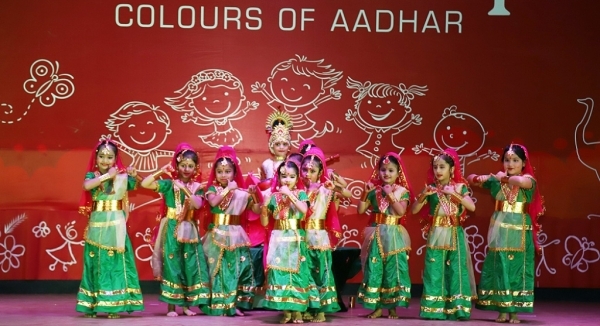 The little ones presented mesmerizing cultural performances which reflected the Colours of Aadhar. 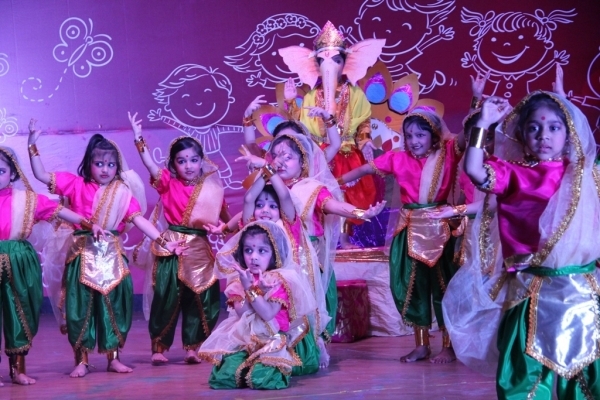 Day one of Kaleidoscope-19, Aarambh and Neev I children befreinded their favourite God, through Ganesh Vandana, they then danced to the tunes of a medley of songs signifying hopes and fantasies of a child, there was a Jungle Safari with the kids dancing and foot tapping into the jungle. 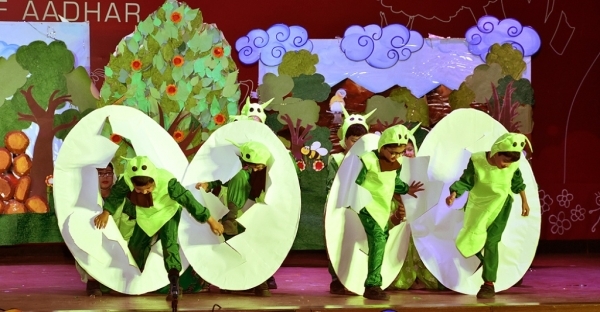 The English play had the detectives trying to solve the case of Humpty's Fall in Rhymeland, this was followed by the choir group's songs on Happiness culminating with beautifully choreographed P.E activities in Musical Eurythmics. 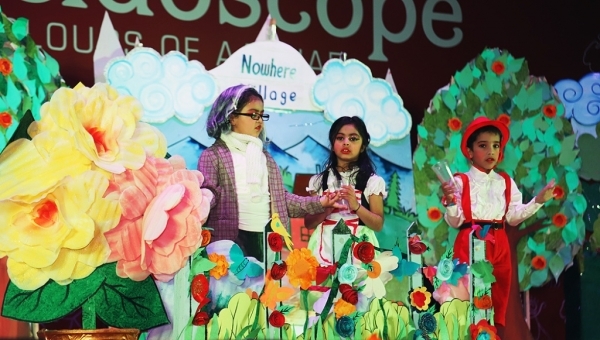 Day Two of Kaleidoscope-19 Neev II and Nirmaan children started the program with Saraswati Vandana, invoking the goddess to bless them, the children then went on an adventure on their wishing chair in the English play, the Hindi play, Parentology talked about different types of parents and shared a secret recipe of good parenting, children also related their journey in Aadhar to the life cycle of a butterfly in the dance drama, Wings to Freedom which was followed by the Choir presentation on kids favourite things. 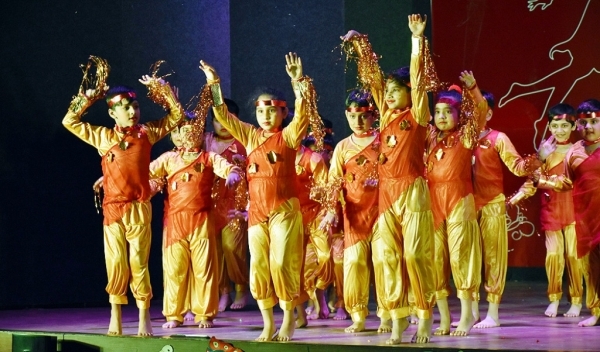 The program proceeded with a troup of little dancers who blended Art with Dance and amazed the audience with their imprints on the canvas, The Colours of Aadhar which is it's essence. 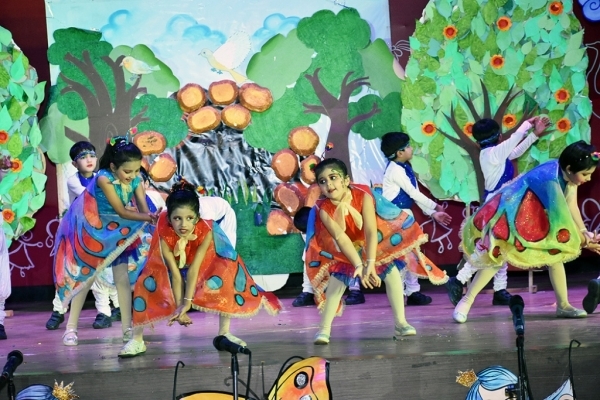 The Form Morning ended with the PE children taking to the stage with a delightful presentation in Karate, Football, Yoga, Gymnastics and Rope skipping amidst lot of cheer and applause from the overawed and proud parents. 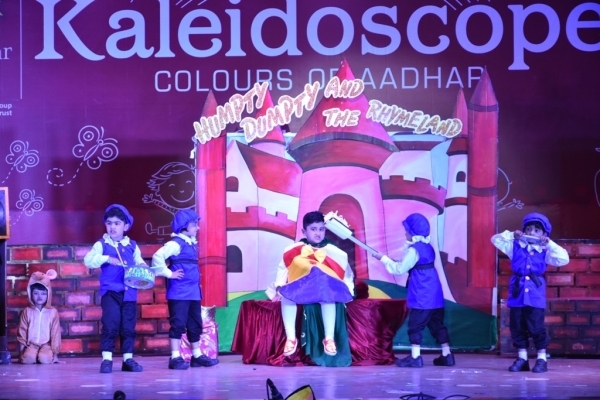 The Colours of Aadhar splashed through Kaleidoscope-19 bringing with each performance the beauty of the kindergarten section of The Sanskaar Valley School.